On the upside, with more people converting thirsty lawns to more water-efficient landscaping, some interesting and creative options for our yards and benefits to wildlife are becoming apparent, especially if native plants are included. 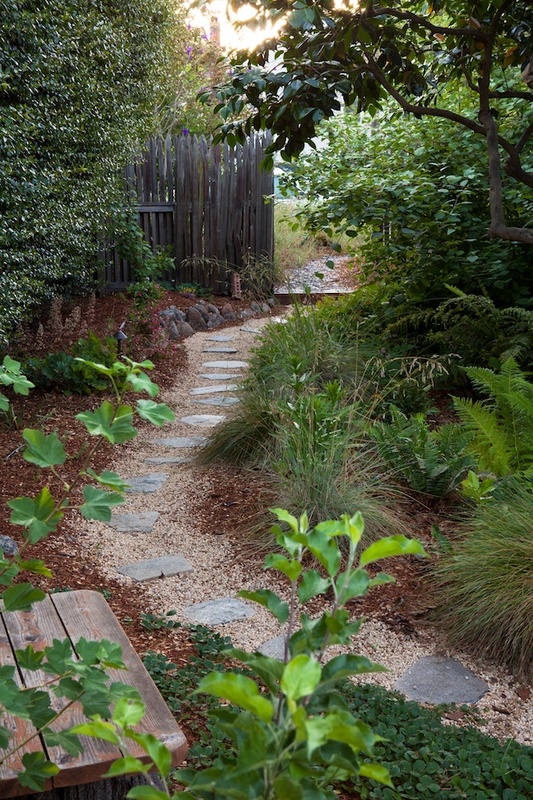 Yards converted to small plots of native plants can become patchwork wildlife havens. Douglas W. Tallamy, professor of entomology and wildlife ecology at the University of Delaware, compared non-native and native trees and found that native trees supported a higher diversity of invertebrates. His study found 532 species of caterpillars on native oak trees. All of these invertebrates -- mainly caterpillars and insects -- provided food to native birds. Enhancing wildlife habitat is especially important since over 75 percent of endangered species are found on private land. 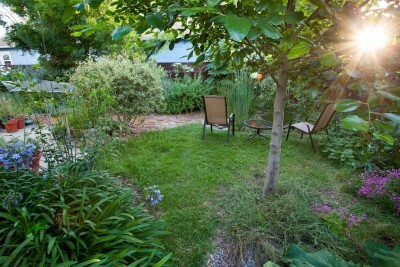 One of the few upsides to the drought is that our yards can become wildlife refuges. Especially if we convert some of the 40 million acres of lawn across the US to more natural habitat. A citizen science project from Cornell University called Yard Map, can even track how our yards provide habitat for wildlife. By mapping your yard on their website, scientists can then study the variety of residential landscapes bird species are using. There’s plenty of support from local water agencies for ditching your lawn, too, with some cash incentives that can support installing water efficient landscaping. 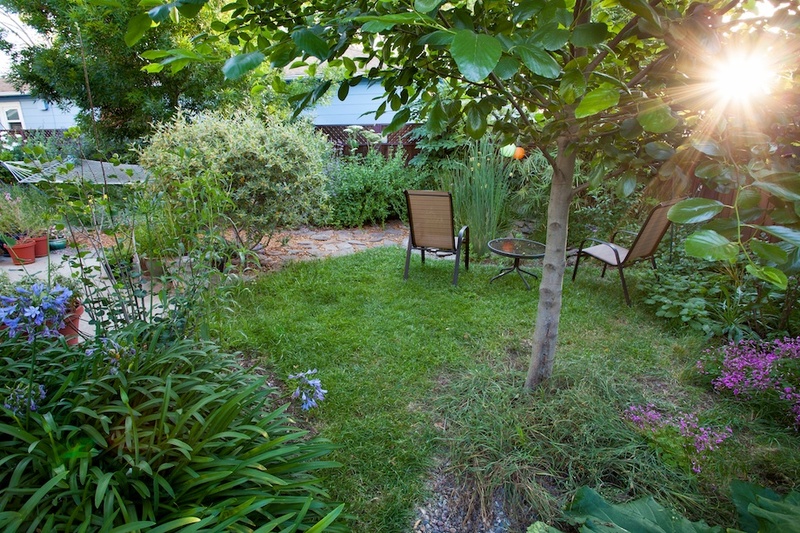 East Bay Municipal Utility District’s “Lawn Goodbye” program offers rebates that offset some of the cost of replacing lawns with water conserving landscaping. They offer up to $2,500 for residential properties and up to $20,000 for commercial and multi-family properties. EBMUD's program is so popular that it's somewhat backlogged. You can expect about a one month delay if you apply now cautions Nanci Miller, EBMUD's Water Conservation Technician. Your own water district may provide similar incentives like the Santa Clara County Water District that pays $2 per square foot of lawn removed or the Alameda County Water District which offers up to $500 for residential lawn conversions and $1,500 for commercial properties. Check out the KQED Science story, "California Drought Boosts 'Cash for Grass' Programs" by Daniel Potter for more information about other Bay Area counties and cities incentive programs. 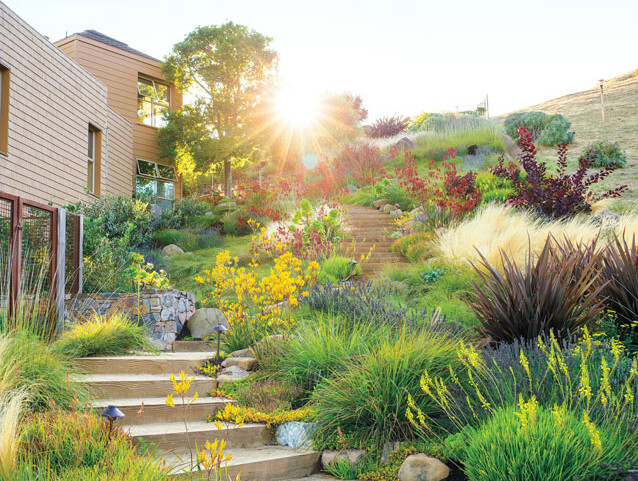 For do-it-yourselfers ready to plan a lawn conversion, resources are available on the CA Native Plant Society and at East Bay Regional Parks Botanical Garden, among others. There you'll learn more about native plants, how to care for them, what habitats you may mimic successfully and how the plants benefit wildlife. The local non-profit, Bringing Back the Natives, also has some wonderful resources on their website including this list of easy to grow native plants, arranged by habitat types.